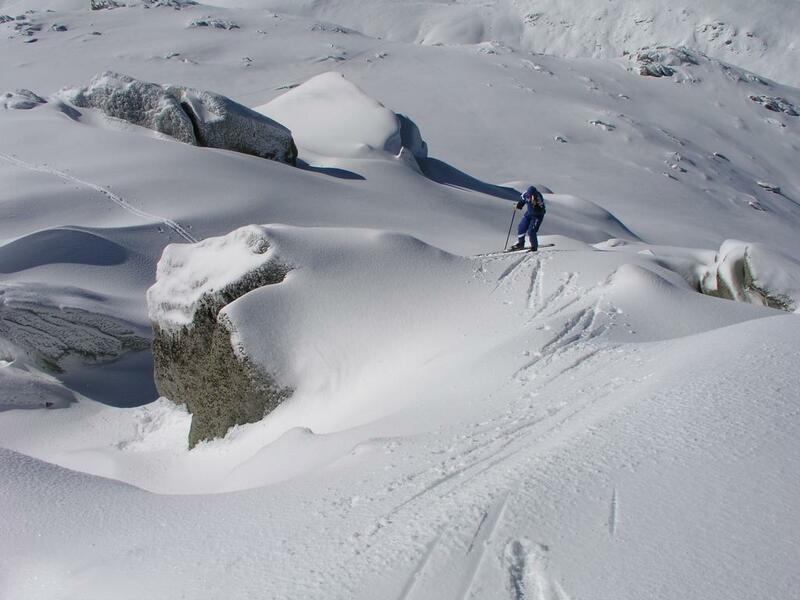 How to get there: See the description under Mount Kosciuszko, 2228 meter. 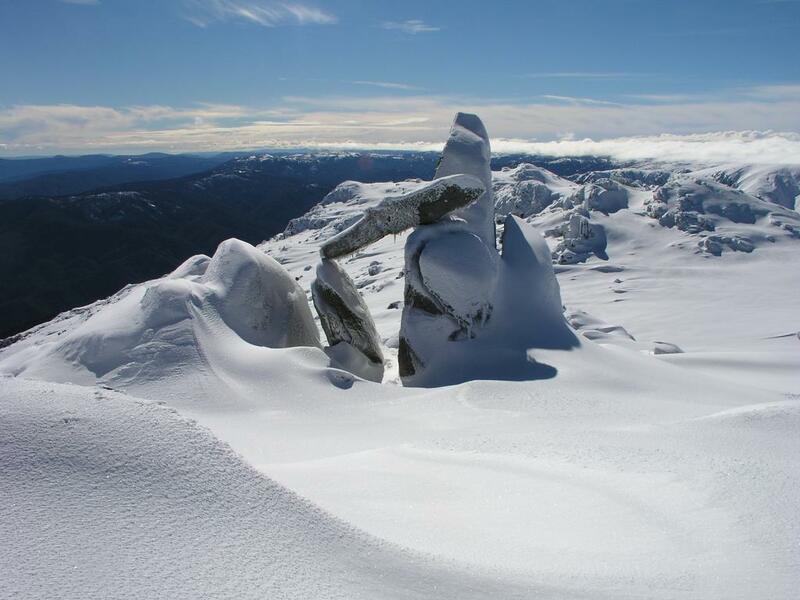 Route description: This description starts at the summit of Mount Kosciuszko (2228 m). Ski the gentle north ridge down to the saddle (2010 m, GPS: South 36:26.415, East 148:16.218) separating Mueller Peak (approx. 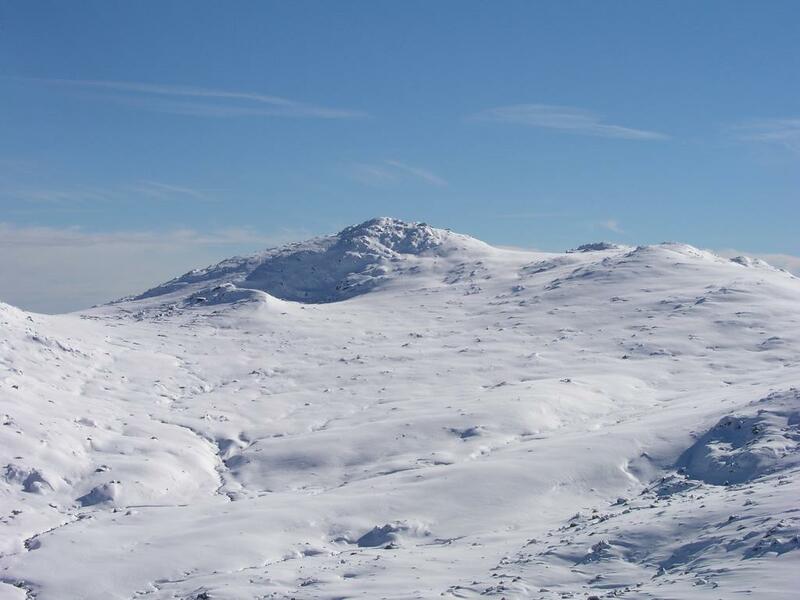 2130 m) from Kosciuszko. We found it easiest to make a slightly ascending traverse on the west side of this peak. There are numerous boulders, but still easy to find a reasonable route to the saddle between Mueller Peak and Mount Townsend (GPS: South 36:25.609, East 148:16.029, slightly NW of the lowest point). Continue up northwest, as you gain the summit plateau, the highest peak is to your left, Alice Rawson Peak being off to your right. The last part of the climb is slightly steeper between interesting rock formations. 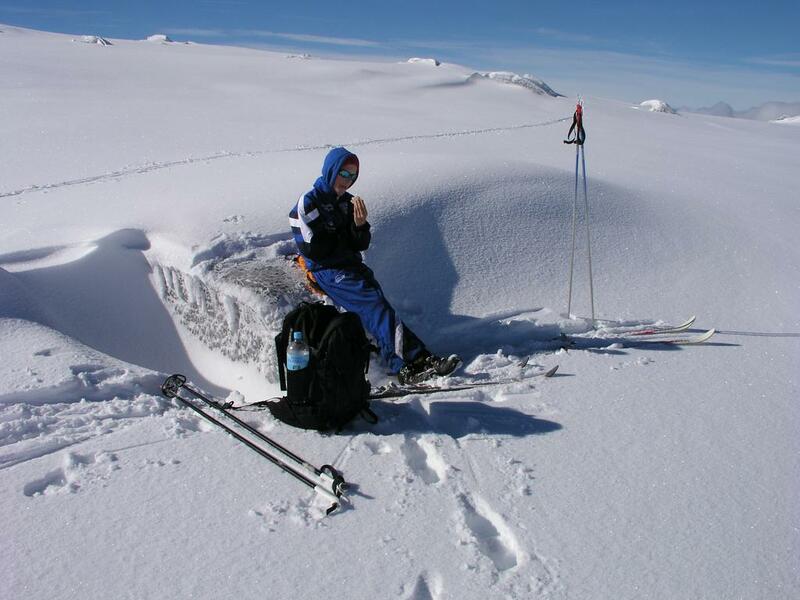 Comments: I did this climb with my son Pål Jørgen, age 14. The view of the Snowy Mountains from this peak is very nice. We broke trail the entire way, in fact, there were not a single trace of previous skiers. We did, however, meet two skiers that used our track when returning. Still, two skiers in such a good mountain world is far too few when compared to the hundreds of skiers (paying 80 AUS dollars each) to ski the down hill slopes that were slushy and really needed more snow to offer reasonable alpine skiing. 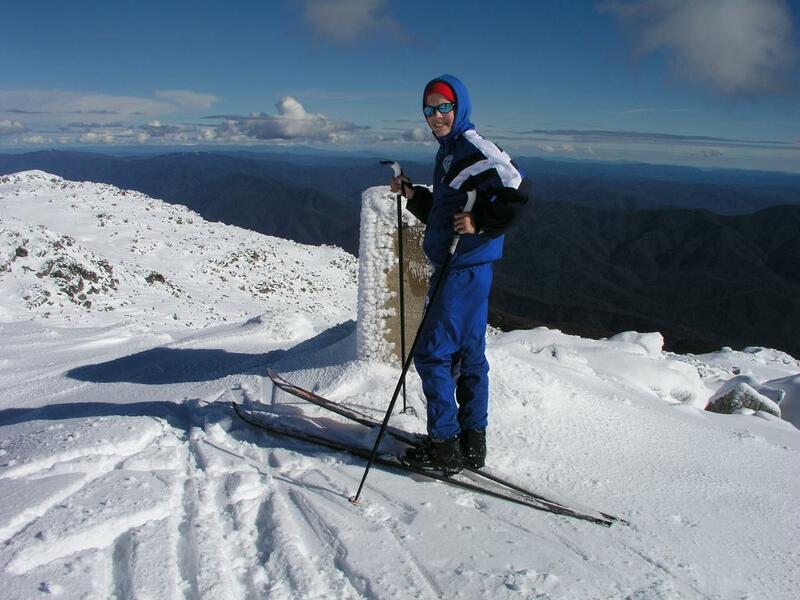 See complete trip comments under Mount Kosciuszko, 2228 meter. Mount Townsend as seen (zoom) from the north ridge of Mount Kosciuszko. Pål Jørgen skiing uphill near the summit. Lunch in Australia, July 2. 2003.